This page is a work in progress. 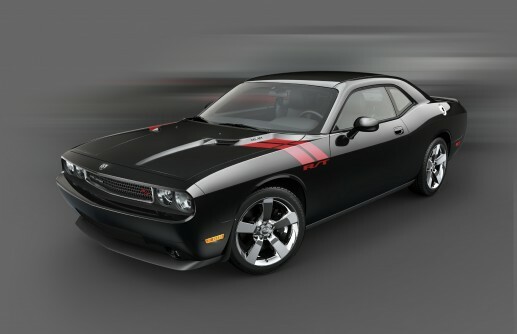 Check out the main Dodge Challenger page for more info. Challenger’s unmistakable profile, coupled with outstanding comfort, cuts through the monotony on the road. The only thing better than seeing Challenger out there? Driving one. 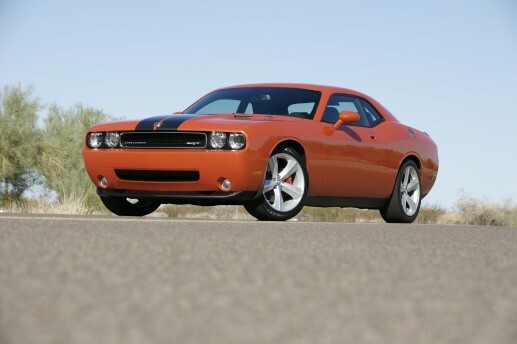 With the 5.7-liter HEMI®, Challenger R/T has 57 more horsepower and gets better highway fuel economy than Mustang GT. Even with a smaller V6 engine, Challenger SE has a 40-horsepower advantage over Mustang V6. Wrap your fingers around the pistol grip shifter, put your foot to the floor and connect with the power. The five-speed automatic with AutoStick® brings a balance of performance and fuel economy, not to mention impressive shift quality, torque management and responsiveness. And with the SRT®-tuned AutoStick, you can utilize the automatic operation, or just tap the shifter left or right for a manual gear selection.